Everyone already knows that most commercial toothpastes contain many toxic ingredients: sodium fluoride, sodium lauryl sulfate, triclosan, artificial colors and flavorings, propylene glycol and so on. Of course, in health food stores and there are good natural toothpastes (especially ayurveda), but having read the ingredients, we realize that we can do something similar at home ourselves – and lot cheaper. Homemade pastas are simple and fun to prepare, and a lot safer and healthier for our precious teeth. Baking soda is not too abrasive for the teeth, indeed – this domestic toothpaste is less abrasive than the purchase. Tips: Use a soft brush with which will help you massage. We call your attention that domestic paste does not foam, because they have no harmful sodium lauryl sulfate. This recipe differs from other recipes that you can find on the internet because it is not salty but very tasty and kids love it. Melt or soften a little coconut oil. If the oil is in solid condition use a fork, and if it’s liquid, use a spoon. Stir the other ingredients and mix well. If you’re using completely melted coconut oil, you will need to stir a few times so that the mixture cools, and soda is finely deployed and connected. Place the mixture in the tube (available in pharmacies empty vial to which subsequently put the cap with a narrow opening for extrusion or in a small jar (you can make a variety of bottles for each family member). Allow the paste to cool and compress. 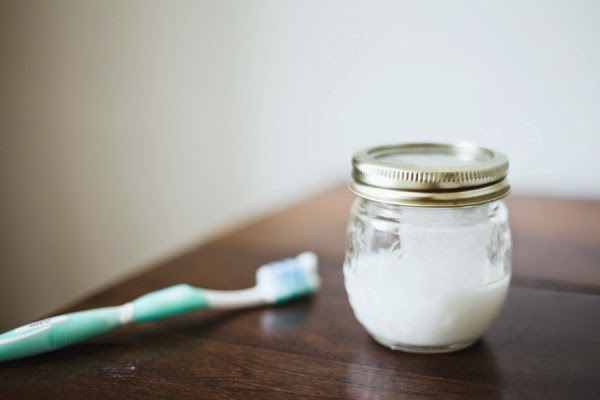 Squeeze out of tubes or dip your toothbrush in a jar and apply a small amount of paste. You can also use a small spoon to put the toothpaste on the brush out of the jar. Keep the jar or the tube away from heat and light because of essential oils.